For in-store inquiries, use sku #2363744. Loro Piana "Icery" sweatshirt in lightweight double-face knit. 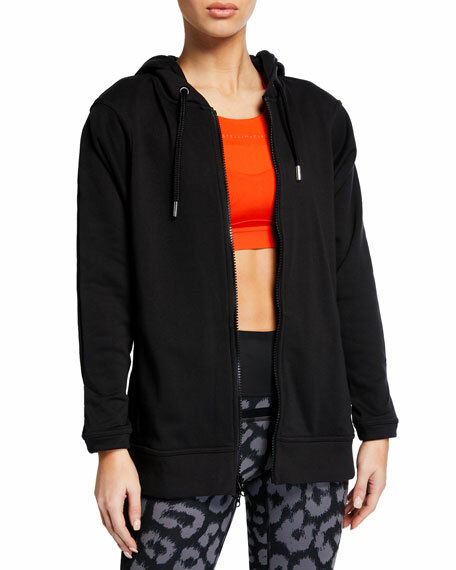 Hooded neckline with contrast face; two-zip front. Long sleeves. Side slip pockets. Relaxed fit. Hem hits thigh. 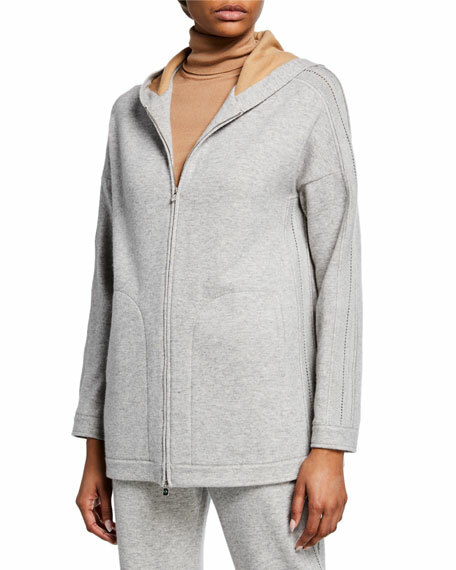 Cashmere/nylon. Made in Italy.